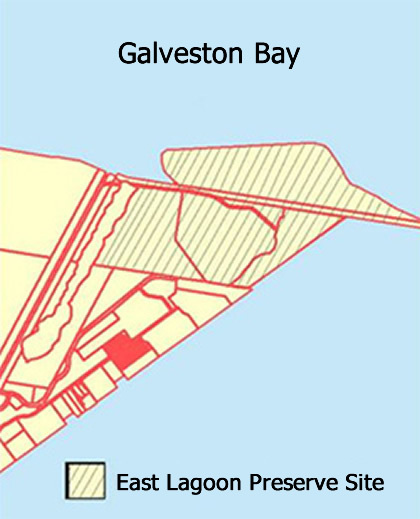 The City of Galveston owns 685 acres of land at the east end of the Island at Boddeker Drive and Apffel Park. The vision of the East End Lagoon Advisory Committee is to transform this resource into a world-class, sustainable, natural recreational park and nature preserve with trails and an interpretive center. GINTC assisted in raising the money necessary to develop the master plan and serves on the planning committee. Click here to see the East End Lagoon Nature Park & Preserve Master Plan. 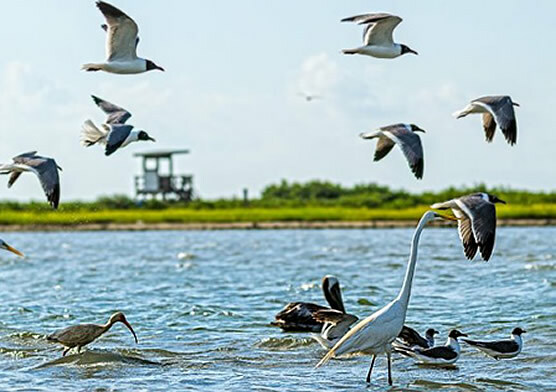 The potential of the property to enhance public awareness of Galveston’s natural resources and wildlife habitats, weather and tides and waterborne industry is extraordinary. 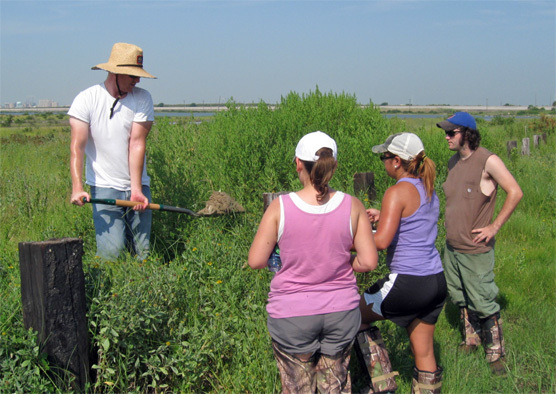 Tidal lagoons, wetlands, grasslands, dunes, inter-tidal marshes, sea grass beds, gulf access and a view of the Houston Ship Channel entrance are all part of the area. Collecting samples for soil characteristics. Photo by Dr. Tom Linton.